A parent should never alienate a child from the other parent. The Act contains certain provisions that aim to prevent one parent from frustrating the exercise of responsibilities and rights by the other parent. Any parent who has care of a child and refuses to allow the other parent to exercise his/her responsibilities and rights contrary to a court order or properly concluded parental responsibilities and rights agreement is guilty of an offence, and will be liable on conviction to a fine or to imprisonment for a period not exceeding one year. In addition, the parent with whom the child lives must notify the other parent in writing of any change to his/her residential address. Failure to do so is considered a criminal offence and is punishable by a period of imprisonment not exceeding one year. Threatening to lay criminal charges will definitely make a parent cautious about putting barriers in the way of the other parent. However, this is in fact a sledgehammer approach, because the arrest and possible detention of the primary caregiver will not be in the best interests of the child. 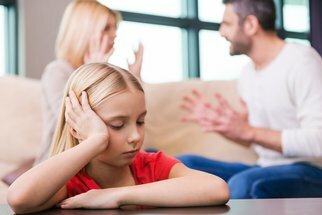 Another concern is that the parent blocking contact may be doing so with good reason, for example if he/she fears that the other parent may be abusive or has evidence that the other parent abuses alcohol or drugs while the child is in his/her care. Parental Alienation Syndrome is a term that was first used by the late child psychiatrist Richard A. Gardner in 1985. Dr Gardner studied the behaviour of parents involved in custody disputes. He noted that sometimes children align themselves with one parent. While this is natural to a degree, Dr Gardner noticed that in some cases it was extreme to the point of bordering on a physiological disorder. He described this so-called disorder or syndrome as follows: ‘Its primary manifestation is the child’s campaign of denigration against the parent, a campaign that has no justification. listening in to the child’s telephone conversations with the other parent, and sometimes refusing to allow the other parent telephonic access to the child. possiblｙ be having web Ƅrowser comρɑtibility issueѕ. give you a quick heads up! Besides that, exϲelⅼent website! I simply want to say I am all new to blogging and site-building and definitely liked your web page. Very likely I’m going to bookmark your blog post . You surely have excellent articles and reviews. Thanks for revealing your web-site. other parent to exercise parental rights. is kinda vanilla. You ought to peek at Yahoo’s home page and watch how they create post headlines to get people interested. performed an impressive job and our entire community shall be thankful to you. I say to you, I certainly get irked even as folks consider worries that they plainly do not recognise about. just right content material as you probably did, the web will probably be much more helpful than ever before. What is a good cost-free blogging website that I can react to blog sites and also others will reply to me? I have a blog with blog writer. I have actually registered my blog using a gmail account. Currently, I want to use a brand-new gmail account and I wished to import my entire blog along with the posts as well as comments to this new gmail id … Please tell me, is this possible and just how can it be done?. What is a great totally free blog writing internet site that I can respond to blogs and also others will react to me? I pay a quick visit every day a few web sites and websites to read posts, however this blog gives feature based writing. On my close friend’s blog sites they have added me on their blog site rolls, but mine always rests at the end of the list and also does not listing when I post like it does for others. Is this a setting that I require to transform or is this a choice that they have made?. Did you build this web site yourself? Please reply back as I’m wanting to create my own website and want to find out where you got this from or exactly what the theme is called.